Much has been written about the fast rise of collaboration apps and their impact on productivity, but we don’t really know how these tools are being used on the ground. How many collaboration apps are most businesses using? Do they make us more or less productive? Are applications being deployed strategically or on an ad hoc basis? And what does this tell us about the future of collaboration? To find out, we surveyed more than 1,000 IT decision makers at businesses across North America. Some of what we learned surprised us, but a central theme emerged: Learn More: Enterprise collaboration is coming of age in 2017 Enterprise collaboration has reached the tipping point. It is no longer a nice to have; the vast majority of respondents consider collaboration apps essential to their ability to compete effectively. Most said their company has a defined strategy for deploying and managing cloud collaboration tools. And most use them not just internally but with customers and partners as well. This is a big shift; we’ve come a long way from the days of downloading Slack at work and upsetting the IT department. We’re now being more strategic in deploying these apps, which is a giant step forward. Businesses are carefully curating their cloud collaboration apps so they see increased productivity and efficiency, but also maintain security and compliance. This new phase of adoption is marked by several characteristics. Learn More: Did you know...despite adoption of enterprise collaboration apps, email is on the rise? More than 80 percent of IT decision makers say their collaboration apps are used across their entire business and 70 percent have a top-down strategy for how those tools are implemented and used. Business leaders have recognized the vital role that collaboration apps can play in their overall IT strategy. Increased productivity was cited as the main driver for the adoption of cloud collaboration apps, followed by an improved collaborative culture and greater visibility for management. More than four out of five respondents said companies are at a competitive disadvantage if they have not deployed these apps, and most organizations plan to increase spending on collaboration tools in the coming year. Collaboration is clearly seen as an essential driver of growth, and as critical to staying competitive. The survey also reveals that no single vendor or product category dominates this market. And perhaps none will. 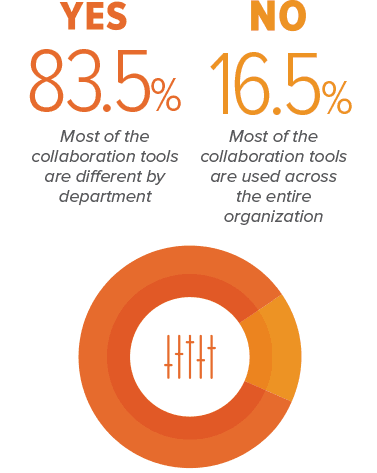 Almost half the respondents said their organization was using at least six collaboration tools, and 16 percent were using more than 10. To succeed in this landscape, vendors will need to provide greater interoperability among products -- even those that compete fiercely in the market. 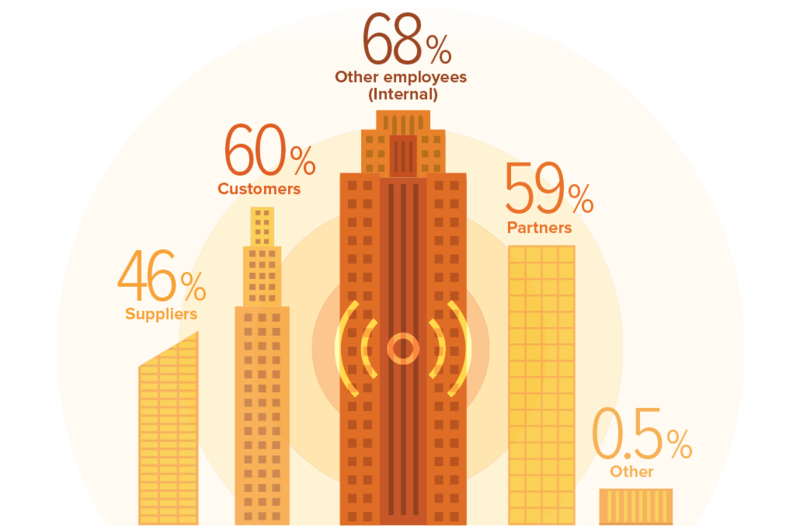 Customers are demanding tools that allow their employees to work seamlessly across platforms. Collaboration will require tools that play nicely with other workplace technologies. The wide range of tools in use also suggests that a period of consolidation lies ahead. Most fast-growing markets attract numerous entrants in the initial stages, and the field narrows as vendors are acquired or go out of business. We’ve already seen signs of this among cloud collaboration providers, and enterprises will increasingly choose vendors with a strong business foundation to minimize potential disruption ahead. Deploying collaboration tools more strategically has other implications, too. In the business world, the old adage says that if you’re not paying for something, you can’t expect a lot from it. Learn More: Collaboration is king, but is it secure? Enterprises have specific needs in areas like security, compliance and management that need to be met. Moving forward, companies will take a hard look at the apps they’re using and commit only to those that meet these needs and are worth paying for. The collaboration landscape has permanently shifted. Work is being moved out of legacy tools like spreadsheets and into more sophisticated platforms that provide the flexibility to share, organize and manage work in more efficient ways. Enterprise collaboration, it seems, is growing up. Collaboration apps are no longer a nice to have; they are, more and more, becoming the norm. In 2017, enterprise IT decision makers are thinking strategically about collaboration apps. 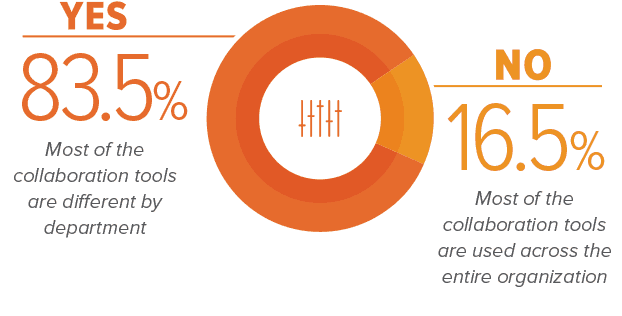 Enterprises not leveraging collaboration tools are seen as being at a competitive disadvantage. say that collaboration tools are a ‘high’ or ‘medium’ IT investment priority for their organization in the next 12 months. If a company hasn’t strategically deployed enterprise collaboration apps, are they at a competitive disadvantage? According to the report, 46% of organizations use six or more collaboration apps spread across a range of categories, with 16% using 11 or more collaboration apps. What collaboration tools do enterprise IT decision makers consider most important in their organization? IT decision makers reported that Microsoft and Google are delivering the most value to their organization with products like Skype, G Suite, SharePoint and Office 365. Slack and other messaging/video tools were also frequently cited in the top two collaboration apps most important to organizations. 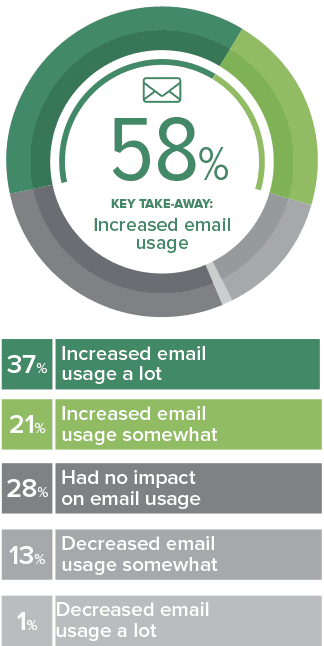 Despite the rapid adoption of collaboration tools, most respondents said email use at their organization has increased. While most collaboration apps enable real-time communication, many don’t provide an easy and effective way for employees to store and retrieve collaborative work files. Absent of this, along with a reported resistance to new workplace technologies, employees default to legacy tools like email. One third of respondents reported that the biggest complaint they get from employees about collaboration apps at their company is that not everybody uses them. Collaboration Is King, but Is It Secure? Security continues to be top of mind for organizations, and most now realize that collaboration tools need to be properly deployed and managed to keep critical data safe. This becomes even more important as collaboration apps are being increasingly used externally, with customers, partners and suppliers. Are you concerned that enterprise collaboration apps unsupported by IT make your networks vulnerable to outside intrusion? When thinking about the collaborations tools used at your company, which of the following best describes what is being used? With whom do employees at your company use collaboration tools? Select all that apply. The business world has reached a tipping point in terms of collaboration, with a level of sophistication that has far reaching implications. Work is being moved out of legacy tools like spreadsheets into more sophisticated platforms, and organizations are recognizing they need to think about these tools strategically - and invest accordingly - to maintain a competitive advantage. In 2017, organizations are ultimately looking for collaboration tools that connect seamlessly; are easy to use - internally, as well as with customers and partners outside the organization; provide the flexibility to share, organize and manage work in more efficient ways; and meets their needs for security, compliance and management. Smart collaboration vendors will pay heed to this shifting dynamic, and evolve their products to meet these changing business needs. Approximately 1,000 U.S. enterprise IT decision makers were surveyed on behalf of Smartsheet by Market Cube in March 2017. Respondents were drawn from a diverse range of industries, company sizes and geographies. Enterprise IT decision makers were defined as: respondents at a manager level or above, in an organization of 100 employees or more, who are either a decision maker or involved in the decision making process as it relates to collaboration tools. 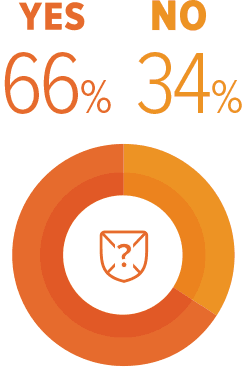 Fifty-five percent of respondents were from organizations of 1000 or more employees. Topics of the survey included how IT decision makers are prioritizing collaboration tools, what collaboration tools are being leveraged in the enterprise, and how those tools are impacting organizations. Download a PDF of the report here. Interested in learning about how your organization can manage cloud collaboration?